They are connected to the amputee's stump via a customised socket but they can become sweaty, cause skin irritations and restrict movement so users often end up not wearing them. 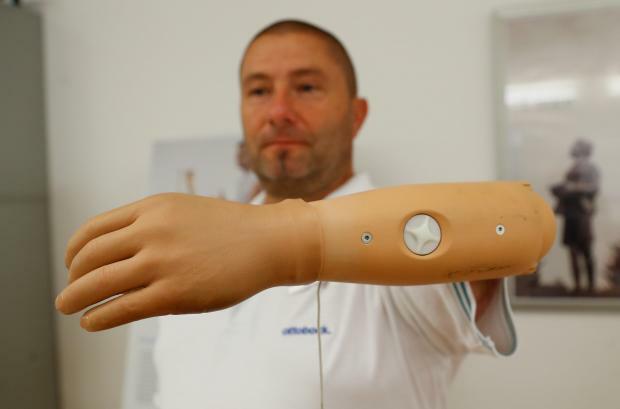 "You need to fully concentrate when you want to properly control it (the arm) and that sap's one energy," he said at Ottobock's research centre in Vienna. One feature of OI is that users can feel some sensation from mechanical vibration in their skeleton, otherwise known as osseoperception, but there is currently no commercially-available product to restore a sense of touch. That may happen one day.